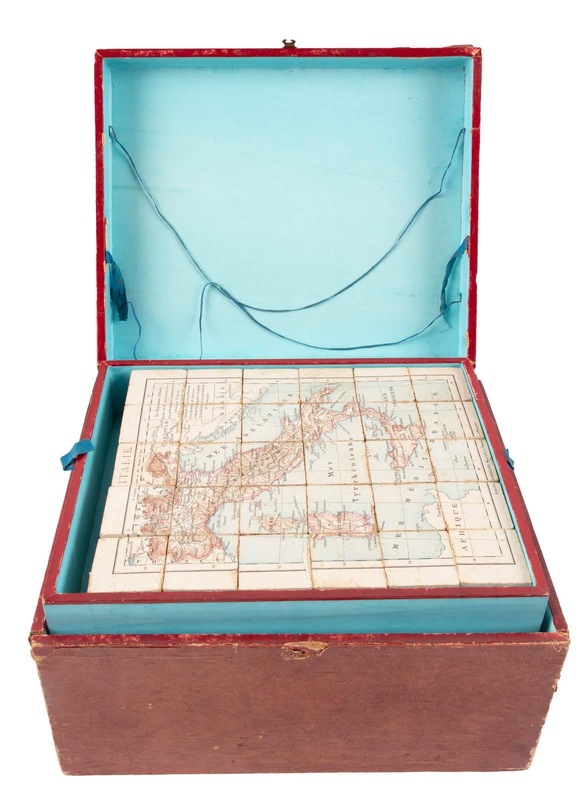 On Thursday, April 18th, PBA Galleries will offer a sale of Travel & Exploration, World History, and Cartography. 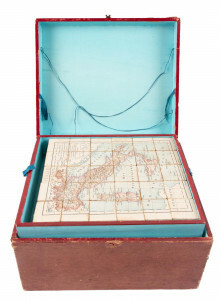 On the auction block, PBA has over 300 lots of scarce and significant material on travels to the far reaches of the globe, and the mapping of the geographic discoveries made. Included are maps, books, photographs, manuscripts, and more, with an important selection of atlases and geographies, and numerous individual maps from the 16th to 20th centuries. The auction features rare atlases, both massive and miniature. 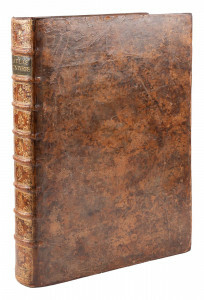 A noteworthy lot is the large folio Atlas Universel by Gilles and Didier Robert De Vaugondy (1757-1758). The superb copy includes the full complement of 108 double-page engraved maps hand-colored in outline and bound in period full mottled calf ($15,000-$25,000). On the other side of the scale spectrum, PBA offers a scarce copy of Abraham Ortelius’ Epitome Theatre Orbis Terrarum (1612), a charming miniature atlas with 134 of the requisite 135 maps, lacking only that of Silesia ($5,000-$8,000). Scarce 17th and 18th-century maps and travel narratives are well-represented in the auction. Of particular significance is Ptolemy’s Geographia (1621), edited by Giovanni Magnini and extended with the addition of 37 “modern” maps, including the inserted double-page reduced version of Rumold Mercator’s world map that is often lacking ($8,000-$12,000). From the 18th-century, the four-volume first octavo edition of the account of James Cook’s third and final voyage (1784) is available: This edition includes two folding charts and 49 impeccable copperplate engravings ($2,000-$3,000). Other highlights from the period include A Journey from Gibraltar to Malaga by Francis Carter in two volumes (1777), which chronicles the author’s journey through Moorish Spain ($2,000-$3,000). The auction does not only feature books and maps, but also presents artifacts and photographs. A geographical puzzle ca. 1900 includes 90 wooden blocks combining to form some 18 maps, all set in the original wooden box ($1,000-$1,500). In travel photography, PBA offers a collection of sixteen photographs relating to Ernest Shackleton’s Nimrod Expedition (1907-1909), plus a photograph of him with Queen Alexandra from 1914 ($3,000-$5,000). Other cartographic highlights include a brightly colored manuscript map of the world, perhaps of Turkish origin, with California depicted as an island and insets of the Strait of Gibraltar and the Sea of Marmara ($2,000-$3,000). From Girolamo Ruscelli’s 1561 edition of Ptolemy, the Orbis Descriptio will be on the auction block: This map represents the first time a separate double-hemisphere world map had been used in an atlas, with striking later hand-coloring ($1,000-$1,500). The sale will begin at 11:00 am Pacific Time and the public may preview the auction Monday, April 15th from 1-5pm, Tuesday and Wednesday, April 16th and 17th from 9am-5pm, and Thursday, April 18th from 9-11am at PBA Galleries in San Francisco. For more information, please contact the galleries at (415) 989-2665 or [email protected].